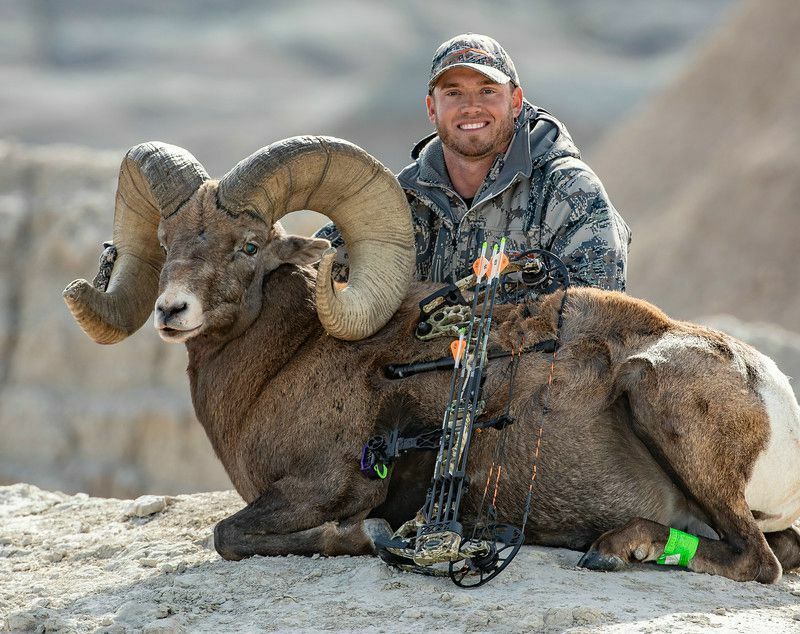 Following a special panel judging session, the Pope and Young Club recently announced a new archery World Record Rocky Mountain bighorn sheep. Clayton Miller (holding the new World Record ram) is flanked by the special panel of judges that finalized the ram’s score. From left to right: Justin Spring, Ricky Krueger, Stan Rauch and Ed Fanchin. Miller shot the ram in Pennington County, South Dakota on Oct. 30, 2018. With a final score of 209 1/8 inches, Miller’s ram was confirmed as the new P&Y World Record Rocky Mountain bighorn sheep. And while new records aren’t common, what makes Miller’s sheep so special is this ram surpasses the previous P&Y World Record Rocky Mountain ram shot by Todd Kirk in 1998 by almost 10 inches. "The Rocky Mountain bighorn sheep is such an American icon,” said Ed Fanchin, records chair for P&Y. “To have the privilege to be part of a special panel of judges to authenticate its final score was a special treat. This ram exceeded the previous Pope and Young Club Rocky Mountain bighorn sheep World Record by almost 10 inches, a record that stood for the last 20 years. Congratulations to Clayton and the South Dakota Department of Game Fish and Parks for practicing sound wildlife management. This ram will be on display at the Pope and Young Club Convention in Omaha, Nebraska, in April 2019; it's a must-see." Clayton Miller tagged the new P&Y World Record bighorn sheep in the beautiful South Dakota Badlands. For more information on the Pope and Young Club, visit www.pope-young.org.